Welcome to this magnificent 3 bed,2.5 bath Patio home. 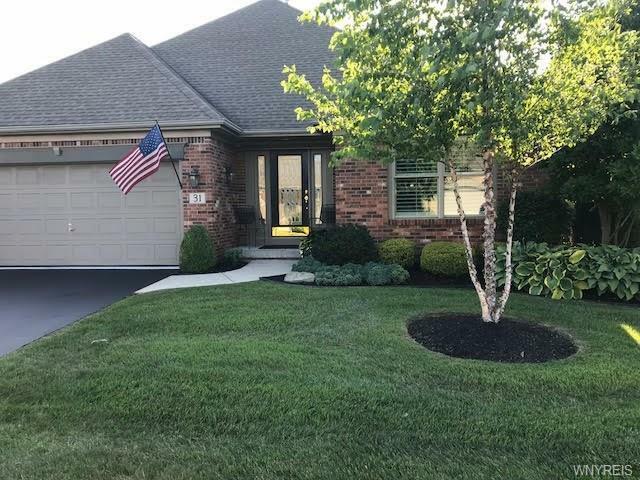 Inviting 2 story foyer w/hrdwds & wainscoting custom moldings.This stunning home lives like a Ranch w/1st flr master suite w/glamour bath,lrg walk in spa shower, Corian counters & separate water closet. Master bed features crown molding, plantation shutters w/Creative Closet lrg custom closet. Stunning kit w/lrg center Isl w/brkfst bar & add'l sink, granite, tile backsplash, under cab lighting, hrdwds, water filtration sys, appls, pantry & lrg eating area. Liv rm & din rm open from kit for a wonderful open flr plan for day to day liv & entertaining. Liv rm w/plant ledge & gas frplc. Yard w/lrg patio & lovely trees & gardens. 2nd floor boasts 2 add'l beds w/Plantation shutters, full bath w/granite & lrg loft w/custom built ins w/2 work stations & sitting area. Pella windows & custom closets throughout. Gorgeous front landscaping w/up-lighting.Alarm sys. Why build when you can move right in to this beautiful move in ready home! Nearest Cross Street Renaissance Dr.